I have no words to express how much this stuff broke me out. One day, I was fine. The next, I was covered from chin to forehead in angry welts. Never again. Never, ever again. this is a liquid sunscreen that provides broad spectrum protection. it is easy to apply evenly and completely, absorbs quickly, and behaves pretty well on its own or under make-up -- no ghostly cast, no rubbing, no greasy heaviness. I like it for my hands, too, because it's so quick to put on. When it's very hot and after several hours,it can make me pretty shiny, but it's no worse than any other brand I've used. The reason I don't give it 5 stars is that this stuff hurt like nothing else I've ever experienced when it got into my eyes. 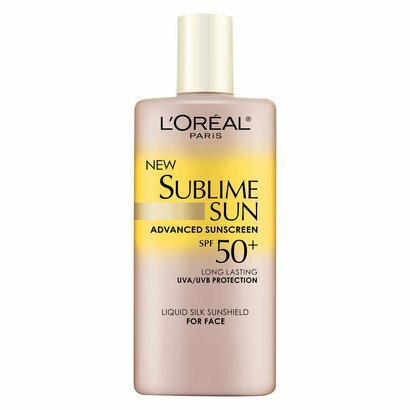 So, even though it's supposed to be waterproof and all that, I wouldn't go anywhere near water with this sunscreen on or, generally speaking, do anything that might risk getting even a little bit of it in your eyes. I recommend it, but with a strong warning.